“Modern travel is a straight line, a direct escape, a sudden breaking of limits and ties, an immersion into the precariousness of the wide world, where one’s ego dissolves into the surroundings and a new person emerges. It is " a path of no return, where one discovers that there is not, can not and should not, be a way back." 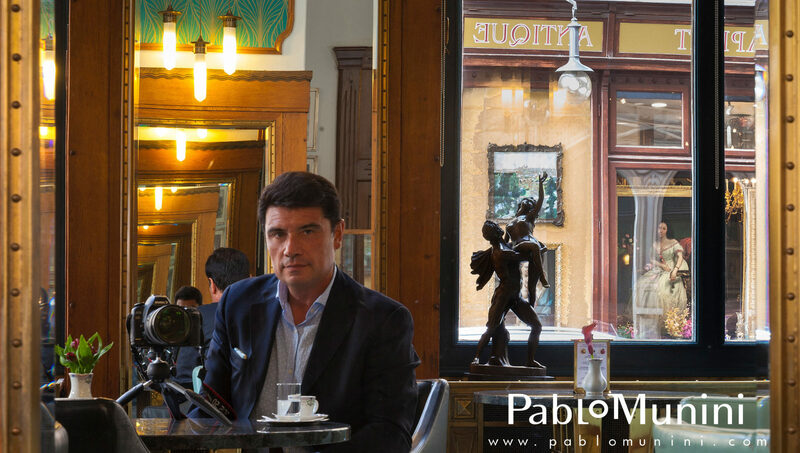 Pablo Munini Photography will include photographs from my journeys and life experiences in the exciting cities of Athens, Barcelona, Belgrade, Bogota, Bratislava, Budapest, Cartagena de Indias, Casablanca, Cape Town, Copenhagen, Ljubljana, London, Madrid, Marrakesh, Milan, Nice, Paris, Porto, Prague, Rio de Janeiro, São Paulo, Sofia, Tallin, Tunis , Venice, Wien, Zagreb ; visiting Austria, Brazil, Colombia, Denmark, Estonia, France, Germany, Greece, Italy, Mexico, Morocco, Netherlands, Peru, Poland, Portugal, Spain, United Kingdom, Sweden, South Africa, Tunisia, and many other places I hope to visit as I continue my journey along this path with no return, always going beyond the borders. I want to express my gratitude towards my two collaborators on this site , Fernando Gonzalez Casanueva, a prominent figure in the world of art photography in Argentina who works on editing the site, and Meredith Brunel, a wonderful American friend, who helps me prepare and refine the texts accompanying my images.